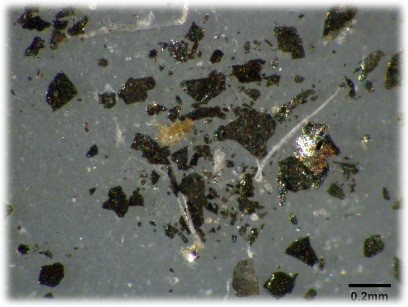 The Analysis: Light microscopy, Scanning Electron Microscopy (SEM), and Energy dispersive X-ray Spectroscopy (EDS) resulted in the following observations: 1) both materials are magnetic, 2) both materials are similar in size, color, morphology and luster, and 3) both materials are composed of iron and silicon in similar ratios. In short, the answer was “Yes!” The client was now armed with the information necessary to take corrective action. Conclusion: The scientists at SGS-IPS Testing routinely solve problems of this nature. How many small problems are you trying to second-guess at your facility, waiting for something to make sense? Let us help you make sense of things, quickly and efficiently. A Printer's Problem or Not? What Caused the Copy Paper Malodor?